I love incorporating bold colors into my outfits - whether that be through statement jewelry, a playful dress, or a staple piece that serves double duty in providing warmth and style. Bring your bright colors out to play this cold-weather season! Pile on a variety of thin bracelets to contrast the recent trend of layering chunky bangles. Color choices speak volumes about your personality, mood, and creativity. I think it's super fun to mix and match complimentary colors - doing so oftentimes provides an unexpected yet appealing punch of style. Let the layering begin and start transforming those summer sundresses into autumn-worthy pieces that will provide you with warmth and versatility all winter long. 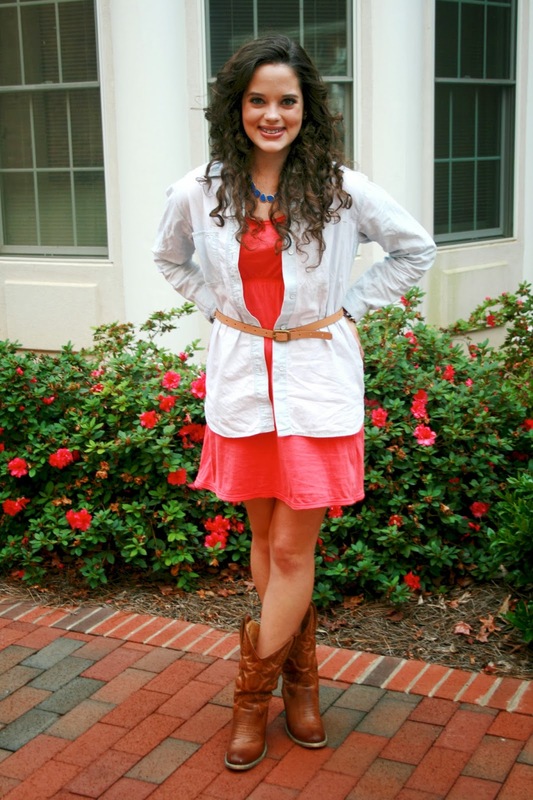 A chambray top never goes out of style and is guaranteed to look brilliant paired with anything. 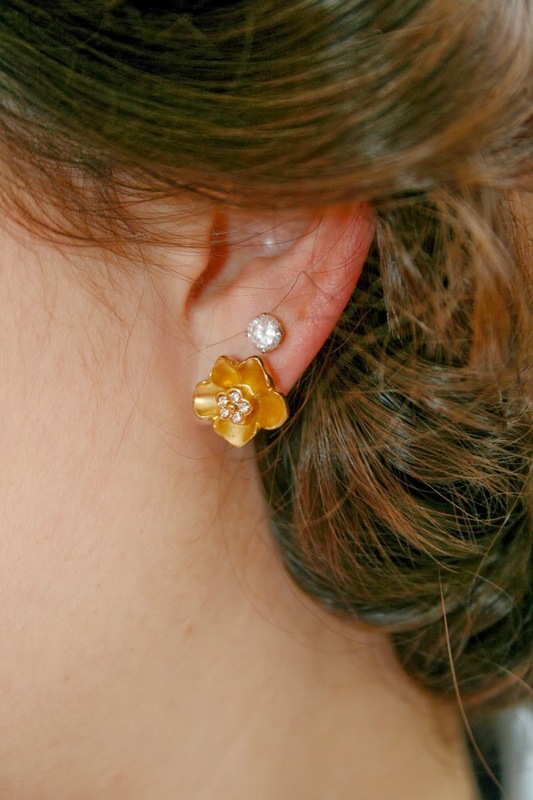 Use your imagination and throw one on today! Add a belt to provide structure or nix the belt for an oversized effortless vibe. Ah cute look, like the scrunchy cow boy boots. And did you change the design of the your site? It looks great. oh Kat I love your hair!! Yes!! I'm so excited that we can finally start layering:)! 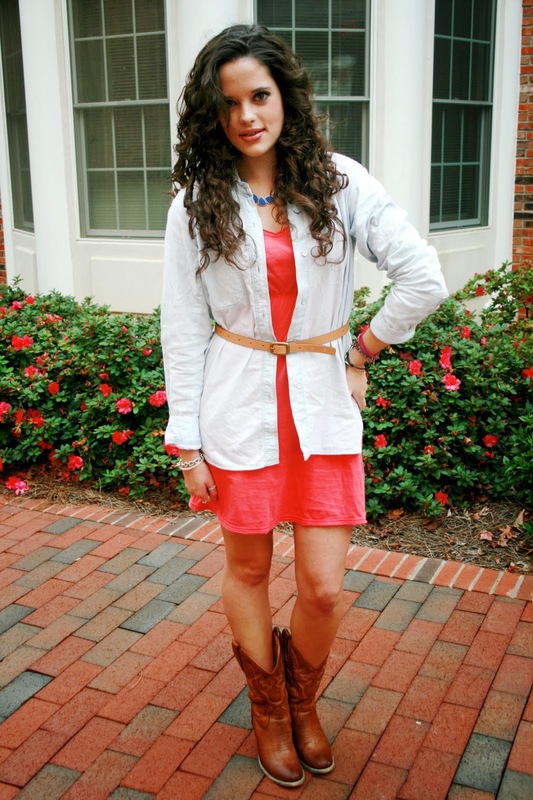 I love the idea of layering a chambray over a dress and throwing a belt over it! So cute Kat:)! Oh kat, i love your playful approach and it does works well. 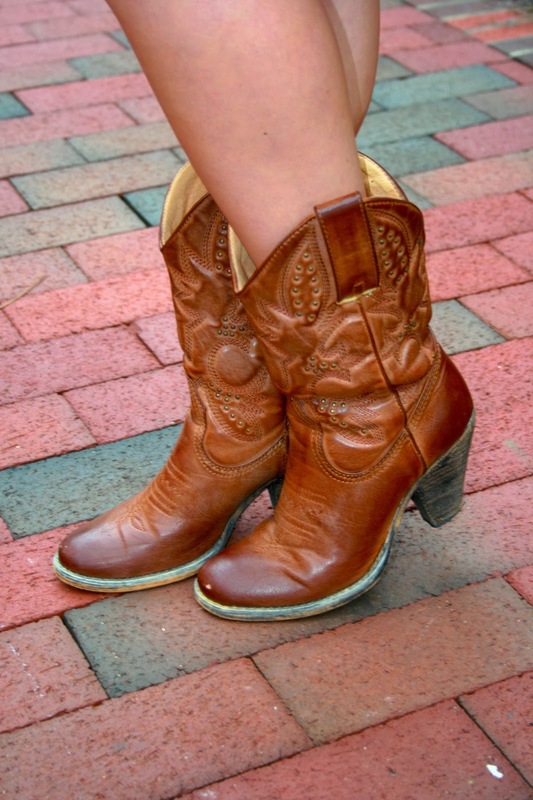 Also you are rocking that cowboy boots like no one else can and the hair is absolutely fabulous ! You look great with this outfit! Maybe we can like each other Fb page? Can't believe it's still so warm there! 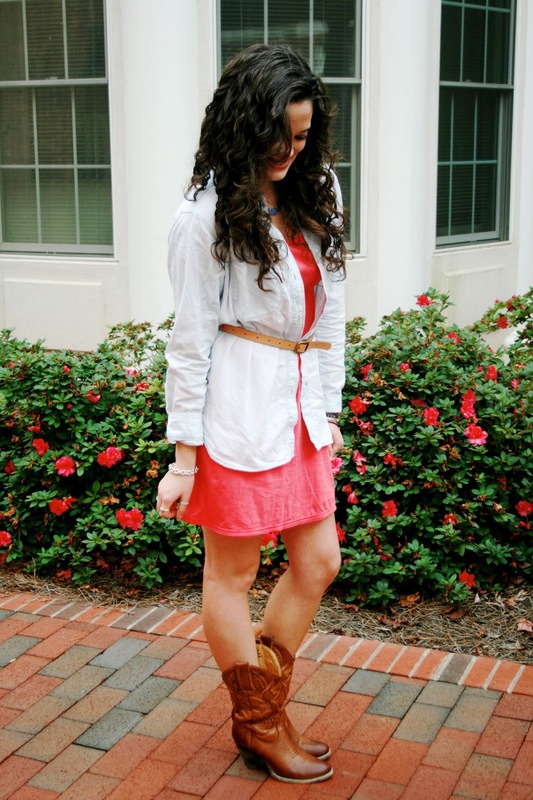 I love the loosely belted chambray and those fun boots! I love wearing bold colors too. Love the shirt and dress combo! You look great, adore your hair! You look so beautiful in white, I like the way you pair this cardigan with that radiant, bright dress! Looks good! Those photographs are adorable! Fabulous look dear! Love the booties, accessories, details and styling! What an adorable boots! Really love ur style, doll! Hi darling!! !lovet this look and the boots agre lovely. 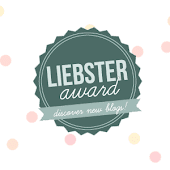 We are already following you on GFC but we do not find how to doi it on Bloglovin. love the fashion and you look so amazing! You have such GORGEOUS curls, never think you have to straighten your hair! 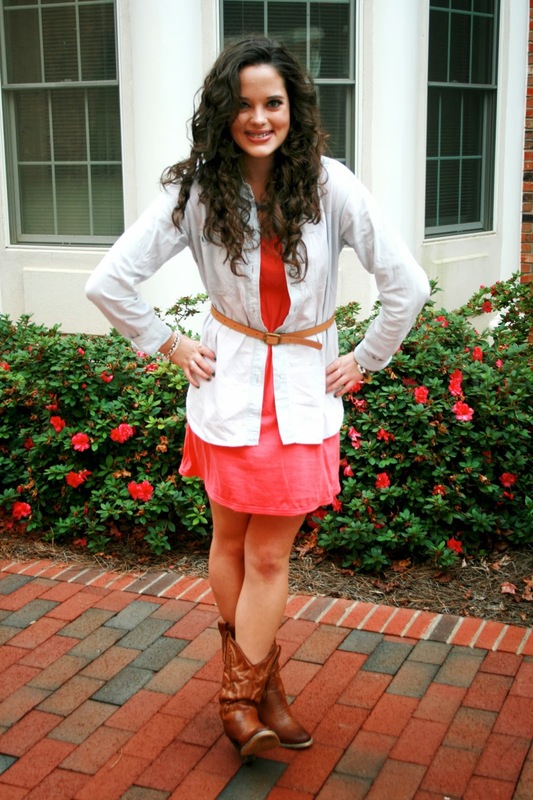 I like what you did with this outfit, I would have never thought to put it with cowboy boots. I like the warm color combo, especially since it's snow time in New York. lol. 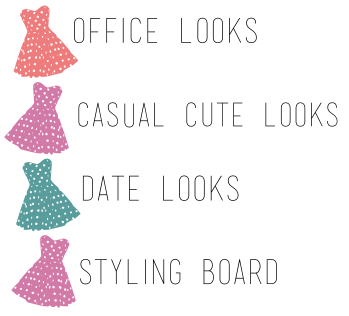 I hope you can now come visit my blog too, and follow me on FB or GFC or lookbook. Let me know so I can follow you back too. I look forward to your visit! cute outfit! the necklace is really fun and your hair..amazing! You look so adorable! I love the dress with the shirt over it. And those boots are pretty fabulous. Your curly hair is so pretty! I have curly hair too but it's not as pretty as yours so I straighten it. Love your outfit too! This is so sweet! 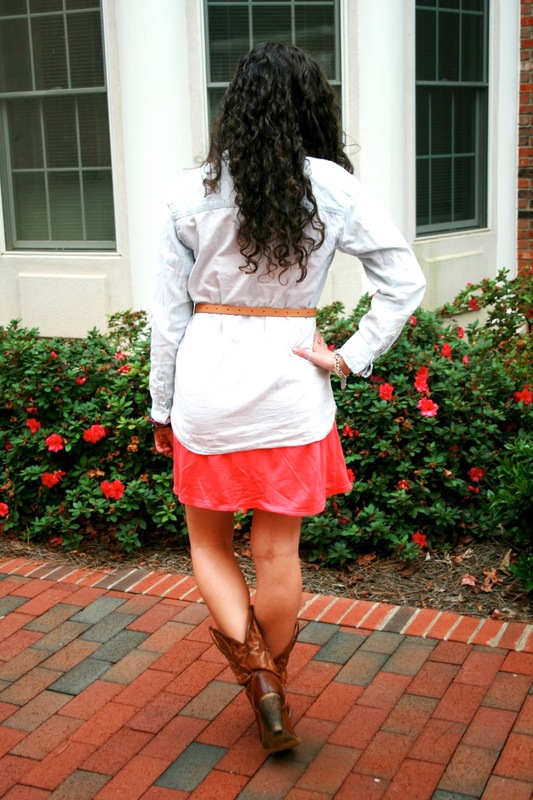 I am loving the way you transformed this beautiful bright dress into a fall worthy outfit! 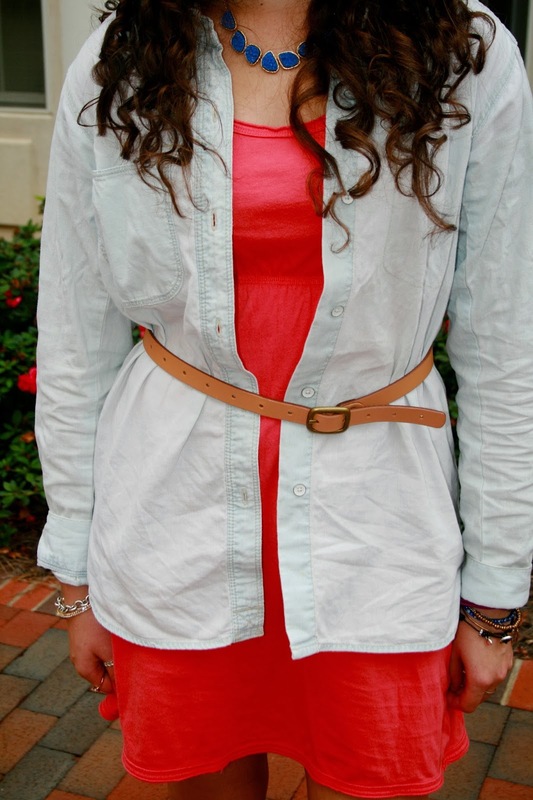 Such a great way of layering with the belt! Looks really fantastic! 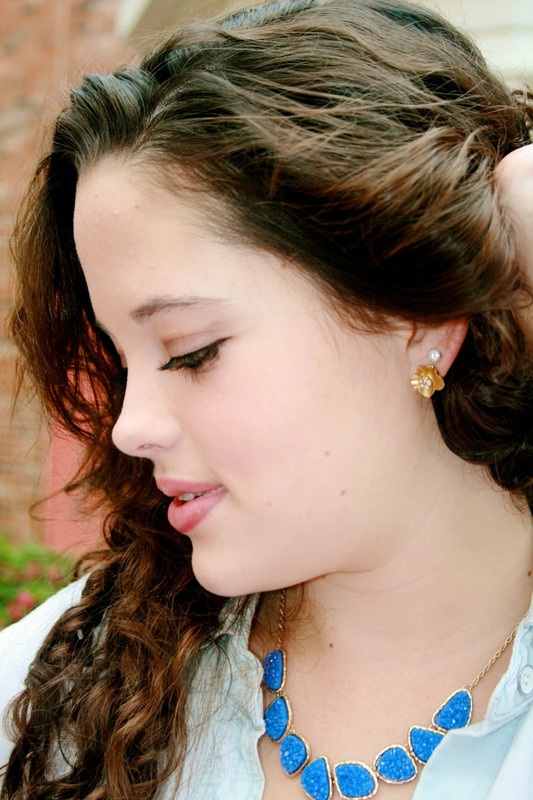 I always adore your accessories! Hey you look so amazing..! i love your outfit so much..! can i use this post on my blog? ?